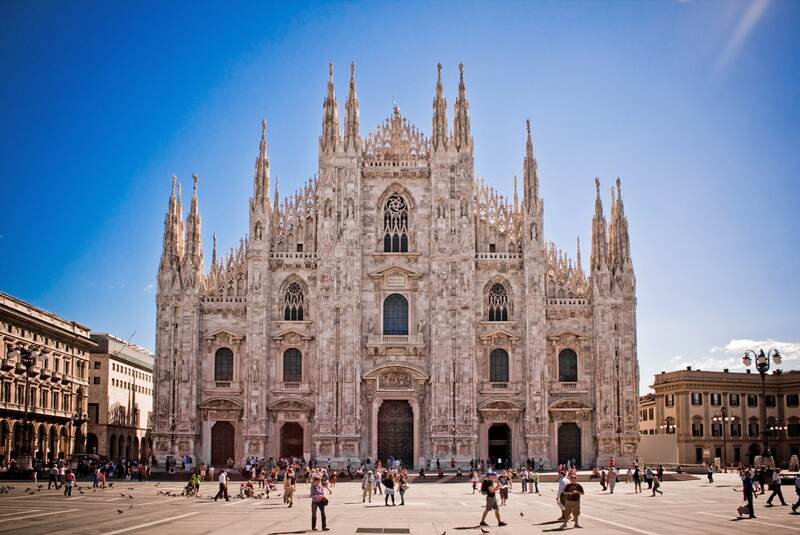 It took 582 years to build Milan Cathedral. Lives of many priests, architects, stonemasons were (and still are) devoted to this building. Now it is built: one of the most beautiful buildings in the world, enormous, white, ornate and unusual. 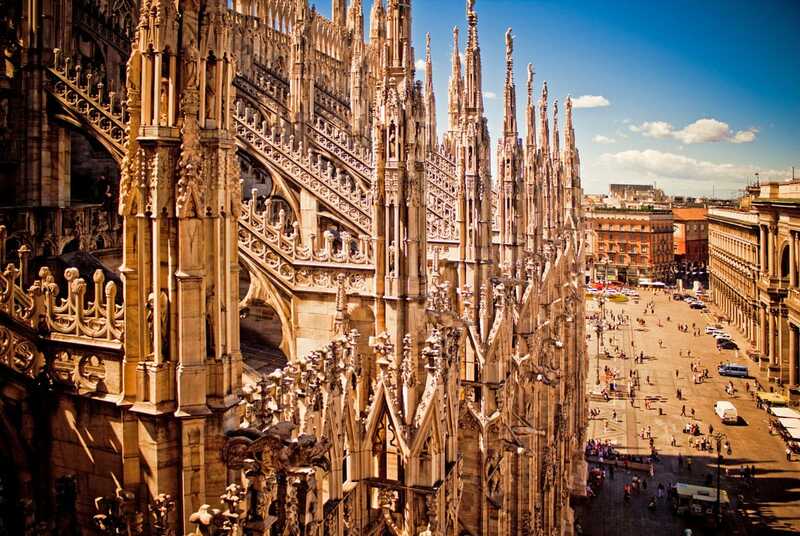 582 years is very long time – thus the build history of Milan Cathedral is very complex and long. Cathedral is located in the centre of an ancient street network. Thus it is well possible that already at Roman times here was located some shrine. 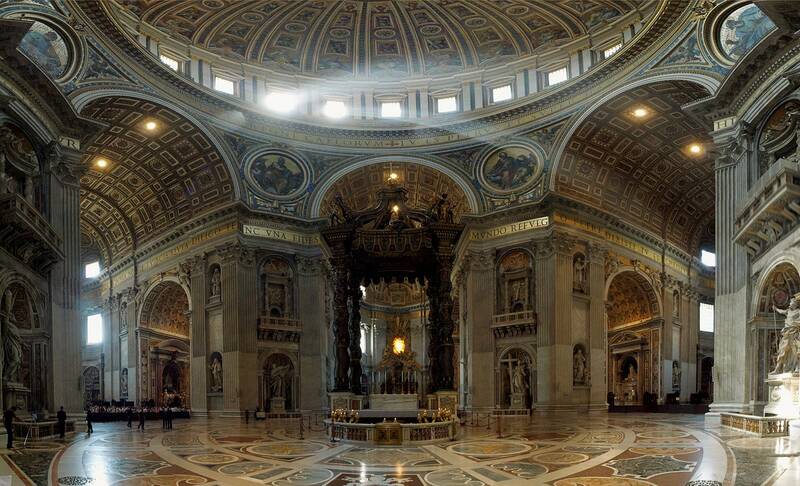 First cathedral was built here by 355 AD – cathedral of St. Maria Maggiore. In 836 Basilica of St. Tecla was built next to it. In fact Battistero Paleocristiano still can be visited under the Milan Cathedral. It is one more wonder of this place, one of the oldest Christian buildings in Europe, built by 355 AD. Most likely right here St. Ambrose baptized St. Augustine. Both the cathedral and basilica were damaged by fire in 1075. Later the tower of the old cathedral collapsed. Authorities and citizens saw the need for a new cathedral. The new ruler of Milan, Gian Galeazzo Visconti and his cousin, Archbishop Antonio da Saluzzo used the possiblity to prove that the new authorities of Milan are far better than the previous tyrant Barnabò. They started the construction of the new cathedral in 1386. Initially works were led by Italian architect and engineer Simone da Orsenigo. Several large buildings were removed from the construction site and ambitious construction started. This activity was much supported among the citizens of Milan and huge amount of donations was collected. The old church of St. Maria Maggiore was used as a source of construction stone for the new church. Basilica of St. Tecla was standing longer – up to 1548. Orsenigo planned to build the cathedral in Lombard Gothic style, from brick. Ambitions of Visconti were higher – he wanted to follow the newest trends in European arts and architecture. French architect Nicolas de Bonaventure was invited to work in Milan in 1389. Bonaventure redesigned the cathedral to the French – Rayonnant Gothic style. He also decided that the brick building should be panelled with Candoglia marble. This beautiful marble is nearly white, with slight pink hue. Quarry is located in Alps, northwest from Milan. This quarry is owned by the builders of Milan Cathedral up to this day. Works proceeded well, walls became higher and ten years later it was necessary to install special machinery to rise stones to a great height. Another French master – Jean Mignot – was invited sometimes around 1399. Mignot was very critical about the work done thus far and considered that the structure is close to collapse – what was not correct. Many foreign architects were invited to assist in the construction of the cathedral – and experienced growing discontent of local Lombardian stonemasons. Workers were irritated by constant changes in ongoing works. Construction proceeded in a very tense atmosphere. Nevertheless constant conflicts and hardship resulted into highly original work of high build quality. When Galeazzo Visconti died in 1402, cathedral was almost half built. Works slowed down due to the lack of financing and incentive. 1402 – 1649: Renaissance or Baroque style? Large scale works resumed around 1480 – walls and roof of the building were built and sometimes around 1500 – 1510 the decoration of interior was started. Exterior of Milan Cathedral for long time remained plain, undecorated. Works slowed down after 1510, smaller adornments and interior details were added. Carlo Borromeo became archbishop of Milan in 1564 – and construction was restarted. Pellegrino Tibaldi was appointed as the new chief engineer in 1571 and he decided to modernize the architecture of the cathedral. 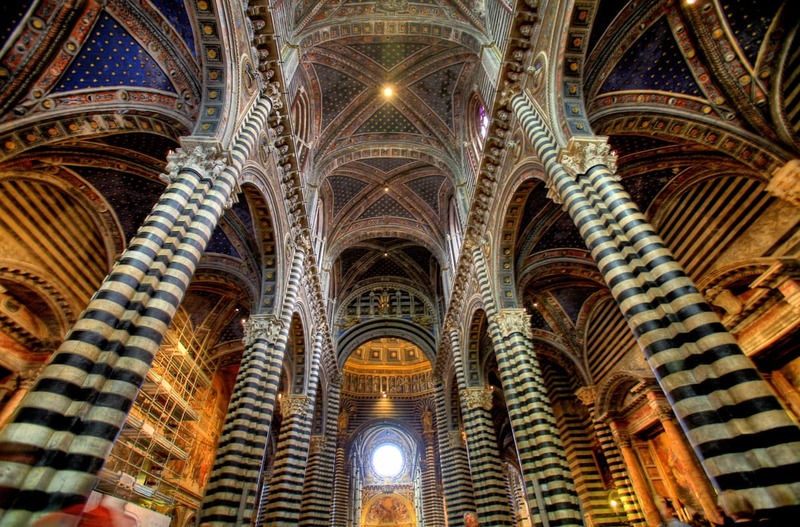 Instead of the French inspired Gothic he proposed the genuine Italian Renaissance architecture. This redesign did not happen – Borromeo died and Pellegrini left the city in 1584. Meanwhile interior works continued and cathedral was consecrated in 1577. Finally, in the early 17th century started the construction of the facade, it was designed in the Mannerism – Baroque style. Five portals were built until 1638. New chief architect – Carlo Buzzi – though reverted to the old design of the cathedral in 1649. Facade was altered back to the Gothic style. 1649 – today: works finished? The tallest detail – Madonnina’s spire – was built in 1762. It was designed by Francesco Croce and stands 108.5 m tall. 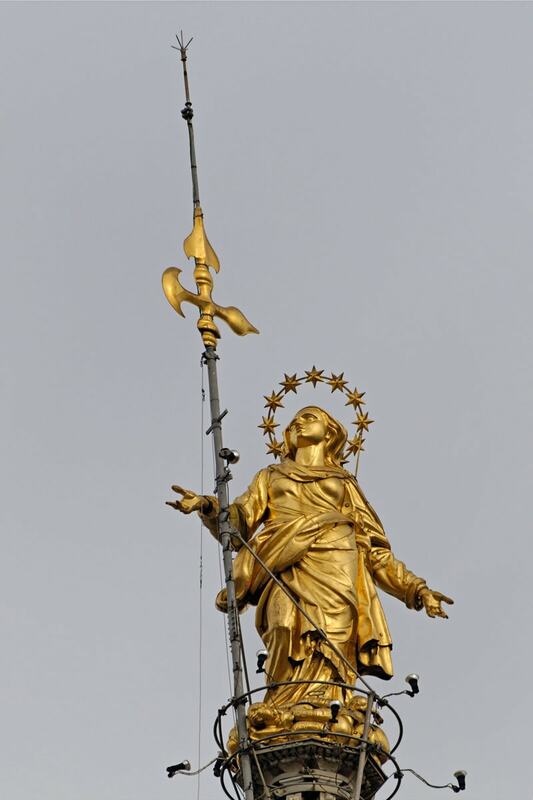 On the top of spire is 4.16 m tall statue of Madonnina. According to a tradition no building in Milan is taller than Madonnina – tallest skyscrapers in Milan are crowned with small replicas of statue. Facade was finished in the times of Napoleon Bonaparte in 1805 – 1813 – he was crowned as a King of Italy in the cathedral in 1805. Architects used the old Gothic design, with some influences of Neo-Gothic style. Works continued throughout the 19th – 20th century. Cathedral got new, less luxurious stained glass windows in 1829 – 1858, the aging cosntructions were renovated. Last gate of cathedral was inaugurated on January 6, 1965. This is considered to be the finish of construction, although some minor works still are waiting to be done. 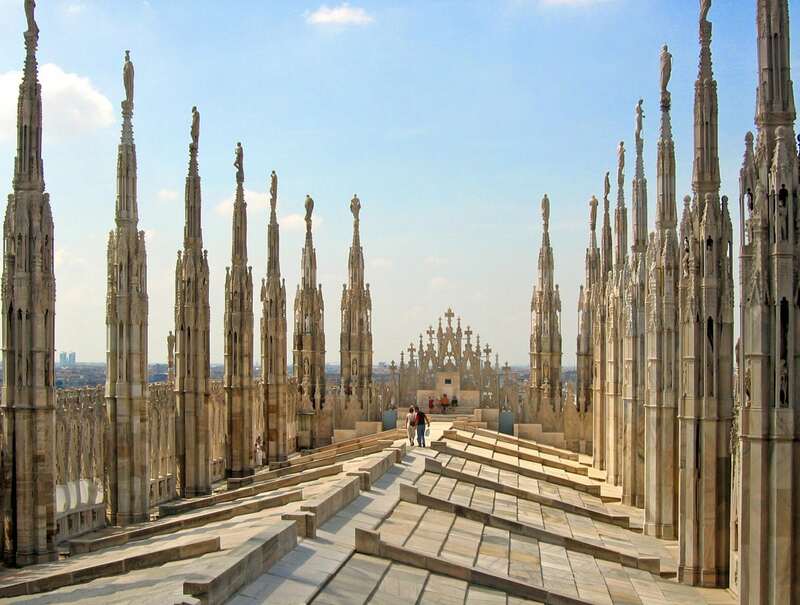 Nevertheless works at Milan Cathedral are never complete. There is whole institution, Veneranda Fabbrica del Duomo di Milano, which maintains the cathedral. It was established in 1387 and is busy up to this day with the endless works of restoration. Thus, the facade was renovated in 2003 – 2009, as the beautiful Candoglia marble is easily damaged by air pollution and aging. Milan Cathedral is the second largest Gothic cathedral in the world by volume and area – only Seville Cathedral in Spain is larger. Cathedral has the highest Gothic vaults (45 m) in the world, except for Beauvais Cathedral (48 m) – which is not completed. 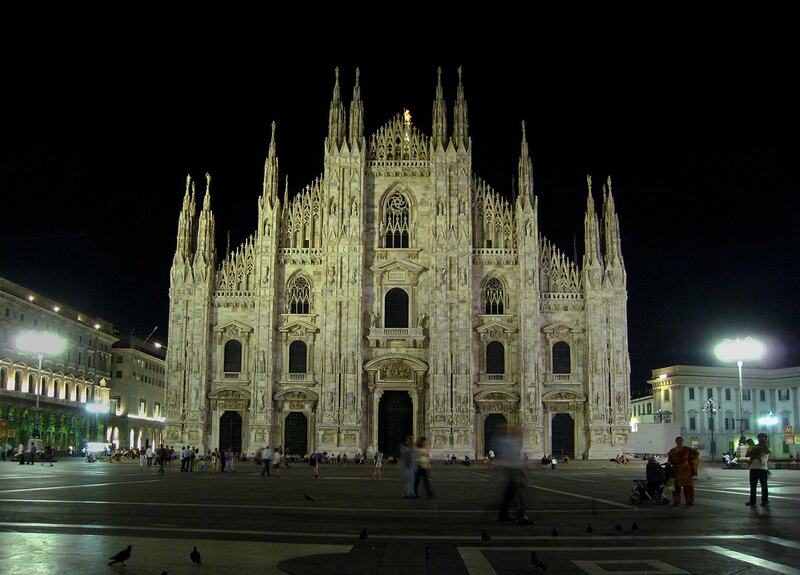 Some more numbers: Milan Cathedral is 158 m long, it has 52 columns. Columns of nave are 24.5 m high. 135 spires rise above the cathedral, like a marble forest. These pinnacles are linked with flying buttresses, making the scene even more exciting. Cathedral is adorned with some 3,400 statues. These statues have been made and donated by numerous sculptors, they have been made in numerous styles – starting from the Gothic style and ending up with Art Deco from the 20th century. Roof of the cathedral can be visited – and few walks are comparable to this. Visitors are marveling at countless sculptures and incredibly thin marble columns high above the city. While the exterior of the cathedral is light, ornate and inspiring, the interior seems to be almost ascetic and rather dark. 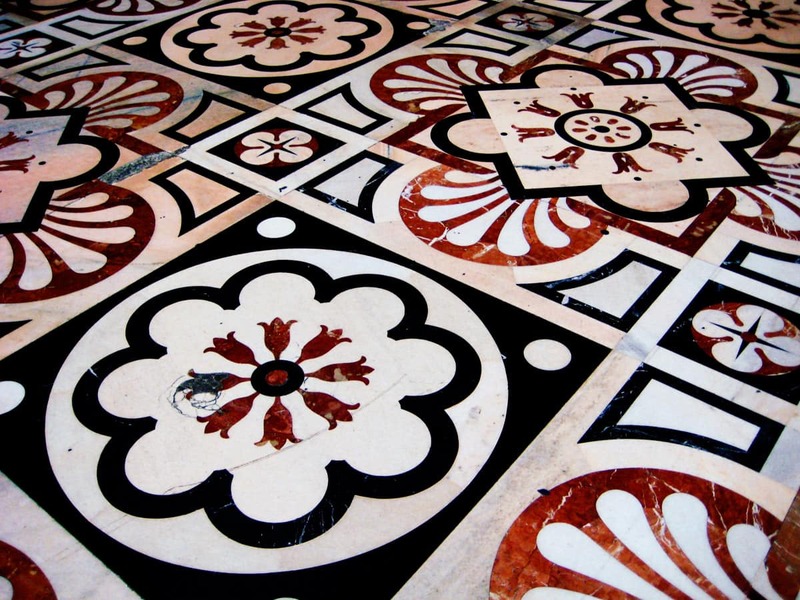 Floor in the cathedral was designed by Pellegrino Tibaldi and made in 1584 – 1940. It is made from the white Candoglia marble with Varenna black marble and Arzo red marble. The giant cathedral holds many values. To the believers most precious is The Holy Nail, reportedly from the True Cross. It hangs over the altar and is illuminated with red light. 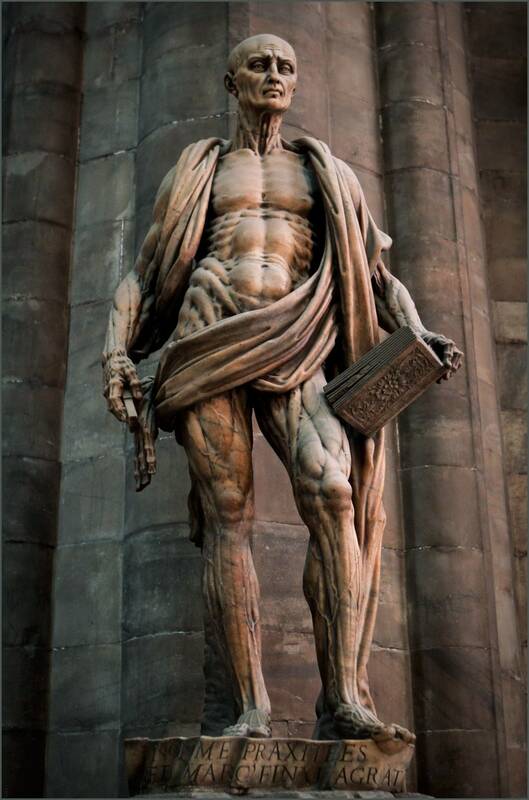 Unusual and highly valued is the statue of St. Bartholomew Flayed, which was made by Marco D’Agrate in 1562. It looks ghostly and at the same time emits weird energy. Cathedral has one of the largest organs in the world, it has a valuable collection of sculptures and paintings. Throughout the long centuries of construction and eternal conflicts between the builders and designers this building has obtained its own style, it is different from any other building in the world. People look at it with awe and admiration, but their verdicts about the architectural qualities are various. Respected critics of architecture criticized the cathedral, especially in the 19th century. John Ruskin wrote that the cathedral steals "from every style in the world: and every style spoiled… Not a ray of the invention in a single form… Finally, the statues all over are of the worst possible common stonemasons…". Also Oscar Wilde wrote to his mother in 1875: "The Cathedral is an awful failure. Outside the design is monstrous and inartistic. The over-elaborated details stuck high up where no one can see them; everything is vile in it; it is, however, imposing and gigantic as a failure, through its great size and elaborate execution.". "They say that the Cathedral of Milan is second only to St. Peter’s at Rome. I cannot understand how it can be second to anything made by human hands." Top 10 most beautiful churches of Italy[/caption] This article lists the greatest churches of Italy. In this country are hundreds of very interesting cathedrals and other churches – with unusual and beautiful architecture, with great works of art and with an exciting history which sometimes is 2 thousand years long. 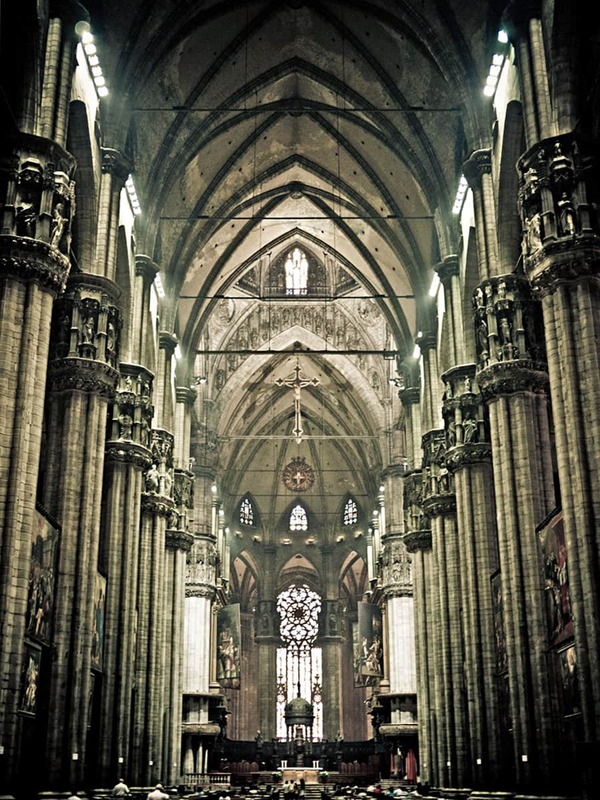 Nevertheless, ten churches are just outstanding and, at least in Wondermondo’s view, stand above all others in Italy. 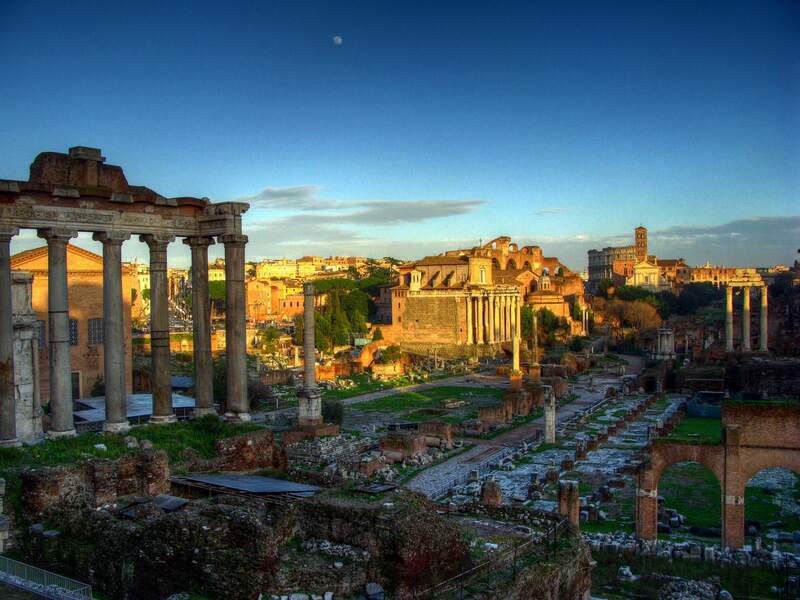 Roman Forum, Italy / yellowbook, Flickr / CC BY 2.0. Italy is one of the most popular destinations in world due to its unsurpassed cultural heritage – this country has got some of the finest monuments of architecture and art in world. 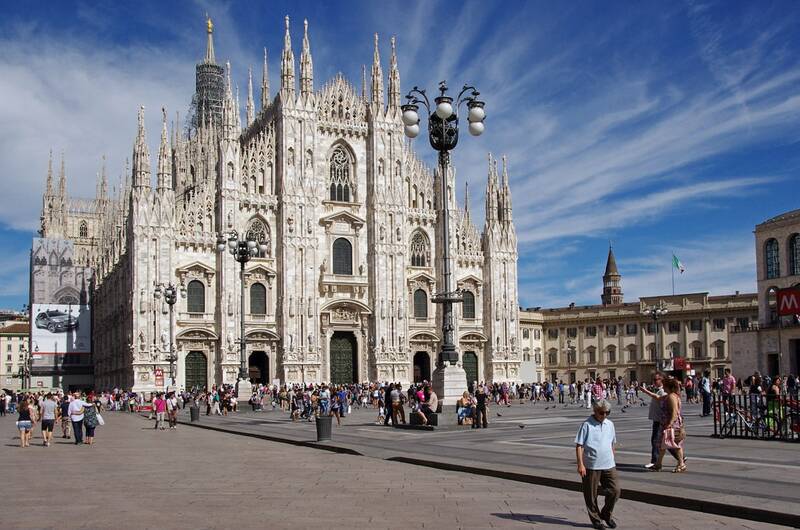 Explore the exciting history, culture, architecture, and fashion of Milan. Discover museums, foods, shops, and more.